Wherever you are, we’re here for you. Student Services is here to support you throughout your college journey—from the time you’re accepted through your graduation day. Unsure about your academic plan? How about getting involved around campus? Let us help you. Make your years at Valencia College the best years. If you have questions, the Answer Center has your answers. There, you’ll find student service advisors who can help you across a wide range of topics—from admissions and financial aid to advising and educational goals. Use the Answer Center as your guide, whether you’re just starting the application process or getting ready to graduate from the college. We’re here to help. Advisors and counselors are available on each campus. They can help throughout your college journey—from providing life, career and education planning to developing success skills and preparing you for university transfer or the workforce. We also encourage that you meet with an advisor or counselor to discuss your LifeMap, a tool designed to give you direction through college and beyond. 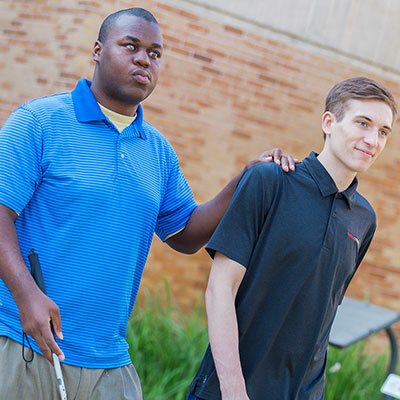 To ensure that college programs and services are available to you, the Office for Students with Disabilities (OSD) determines reasonable and appropriate accommodations based on your specific need. This may include assistance with classroom accommodations, adaptive equipment, training with assistive technology, and referrals to campus and community services to provide you with additional help. You may request services at any time; however, we encourage you to request accommodations as early as possible in order for services to be available on the first day of your classes. The college has dedicated teams to help you gain work experience and prepare you for a rewarding future—through internship and workforce opportunities to career development services. The Career Center can assist you in exploring career options, deciding on career options that suit you and preparing for work—including interview techniques, resume and cover letter tips, and career research. The Internship and Work Services team is dedicated to educating and preparing you for employment after graduation. By partnering with local employers, they’re able to provide a range of services—from securing internships to hosting job fairs. Explore the many ways to get involved outside of class through events, activities and organizations around campus. It’s a great way to meet other students and is a key to your future success. Get academic support through one-on-one tutoring in specific classes or access a wide variety of resources—from books and periodicals to eBooks and videos—at your campus library. Take advantage of the many learning support services available to you around each campus. Learning centers provide a range of resources to help you succeed—from writing consultations to skillshops to computer labs.